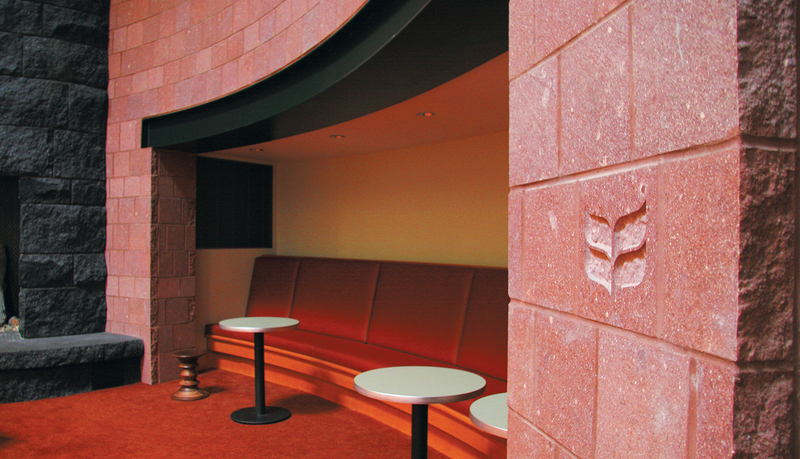 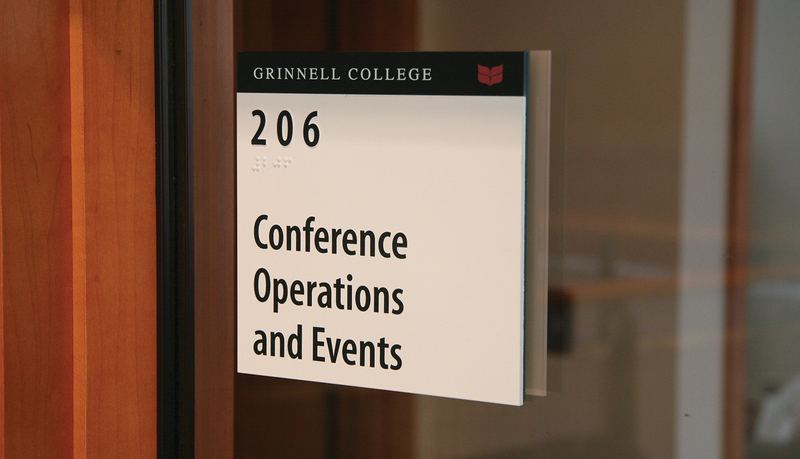 Grinnell College’s new Joe Rosenfield ’25 Center is designed to be the “living room” of the campus; a primary location where campus programs, services and activities are located to provide greater convenience, accessibility and visibility to all members of the campus community. 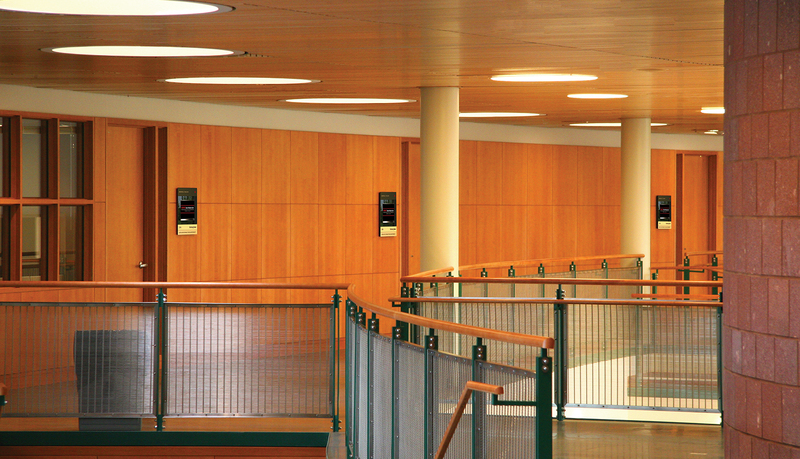 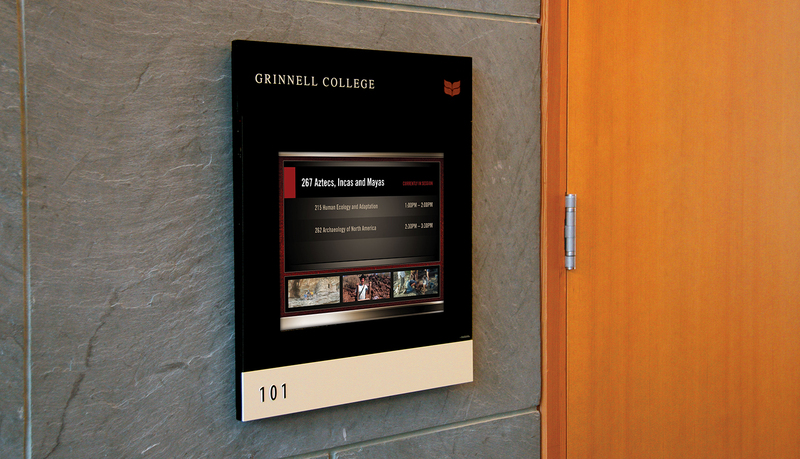 An intelligent wayfinding and event management system was required to efficiently communicate upcoming events to students, staff and visitors and guide them to their desired destination. 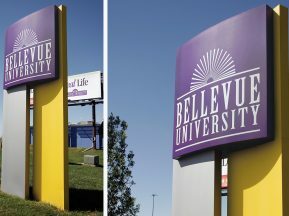 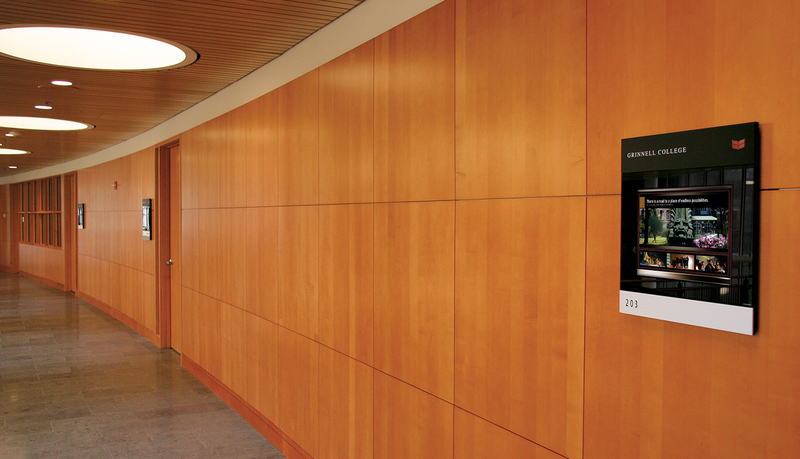 ASI partnered with the architect and the college to create a turnkey wayfinding and signage solution that would complement the design and meet the center’s information and wayfinding needs. 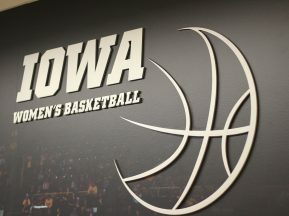 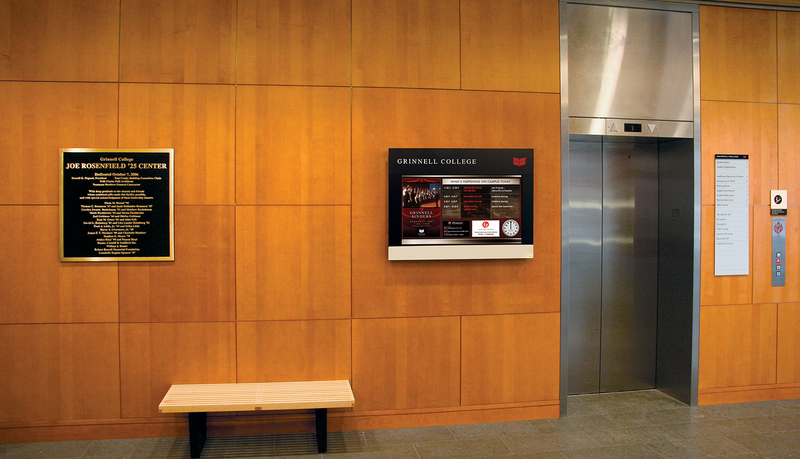 ASI provided a digital signage system for the center’s primary event and information management solution because of its ability to provide dynamic, real-time information to students, staff and visitors. 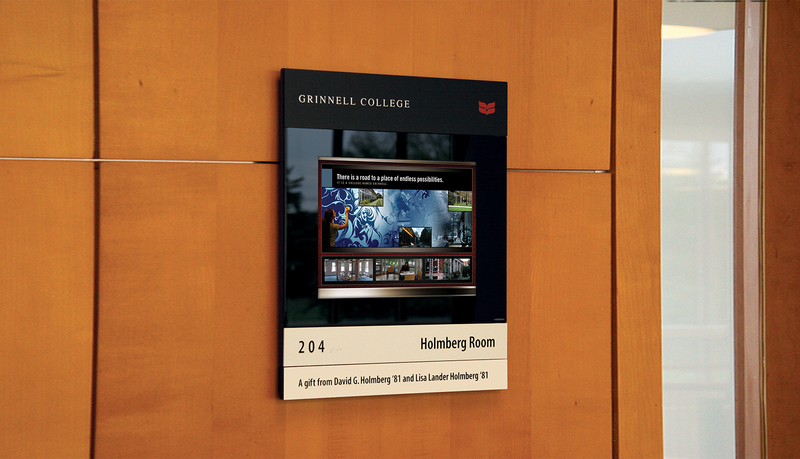 Through an exclusive partnership with a content solutions provider, ASI designed and installed content templates for the digital displays that complement the atmosphere and the brand of Grinnell College and the Rosenfield Center. 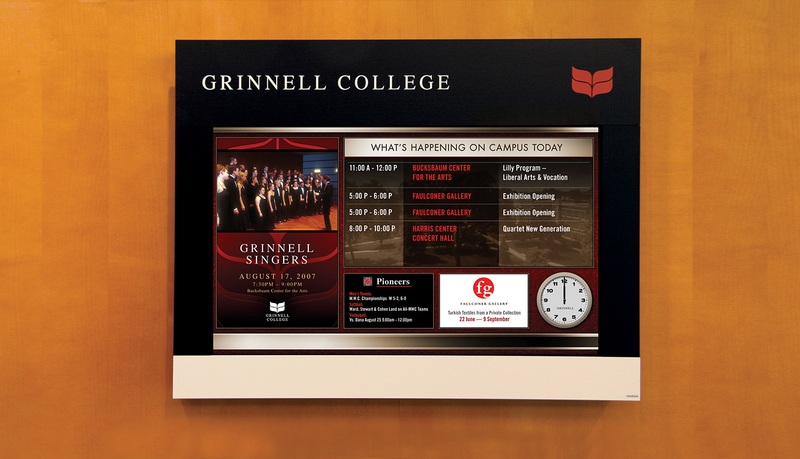 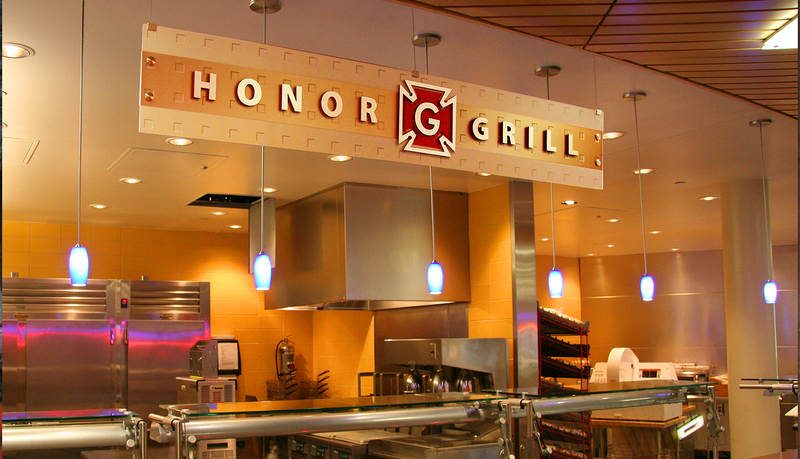 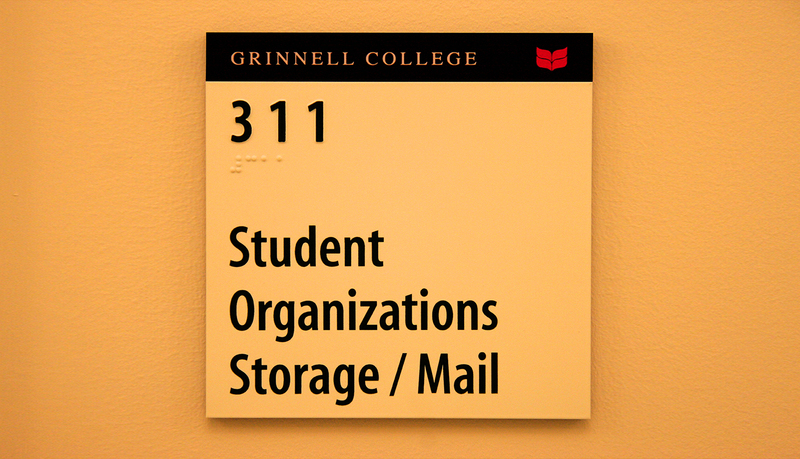 ADA-Ready™ panels surround each digital screen to ensure access to all visitors and to help reinforce Grinnell College’s brand. 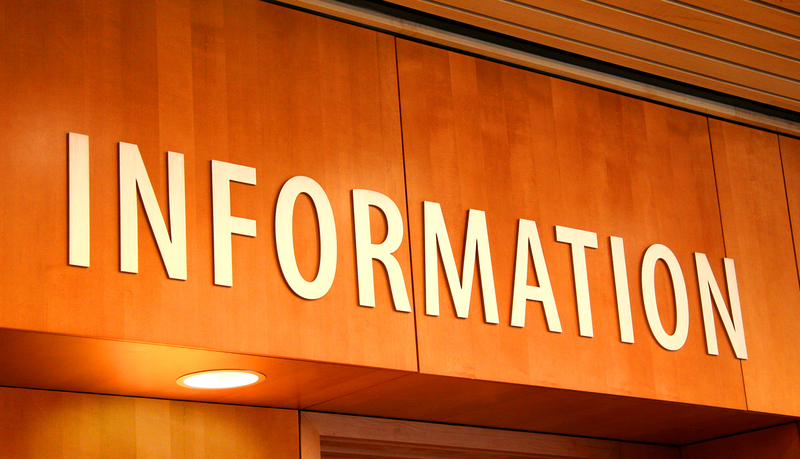 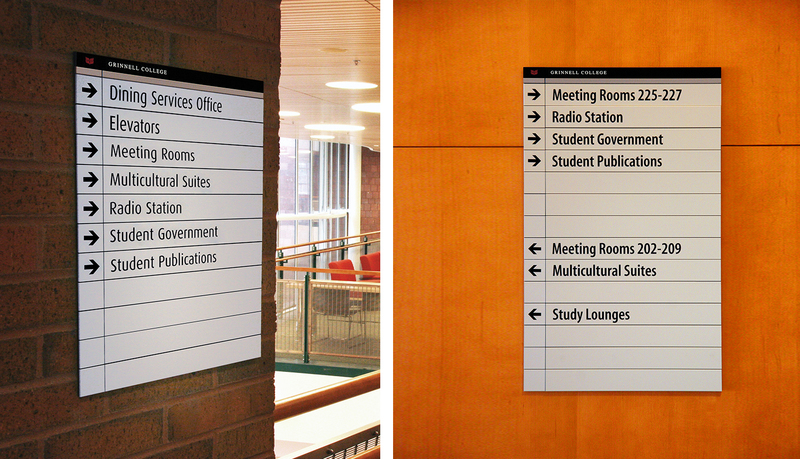 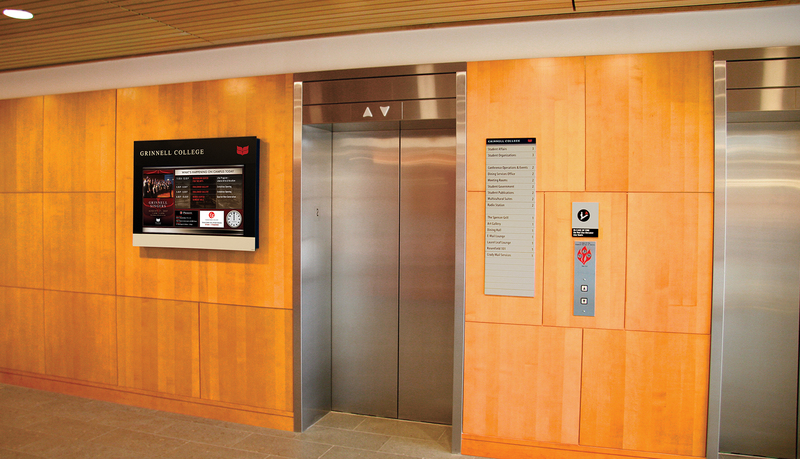 ASI’s Infinity interior modular signage was integrated throughout the center to provide additional wayfinding needs such as directories and permanent room identification. 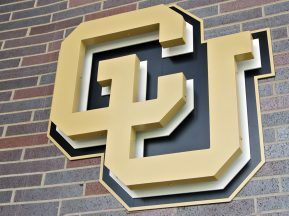 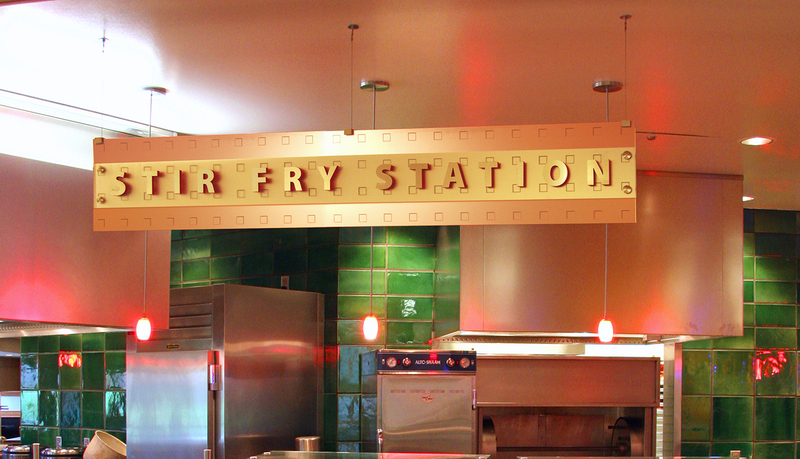 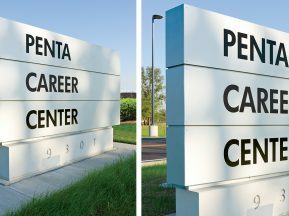 Dimensional lettering was also used to identify main areas of the center while complementing the architectural environment.